SKU: 01- CSB. Category: Brushes, Hull & Bottom Cleaning. 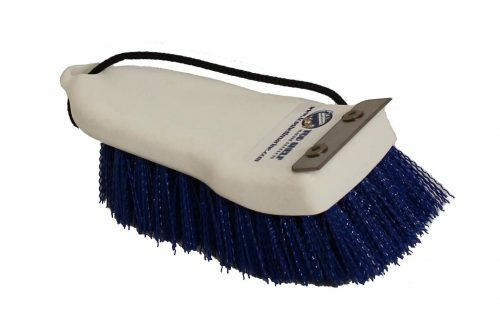 This Purpose Built brush is perfect for in the water hull cleaning on smaller boats and spot cleaning on larger vessels. It’s our choice for when you just want to jump in and do a quick a “look see” on the running gear and bottom. 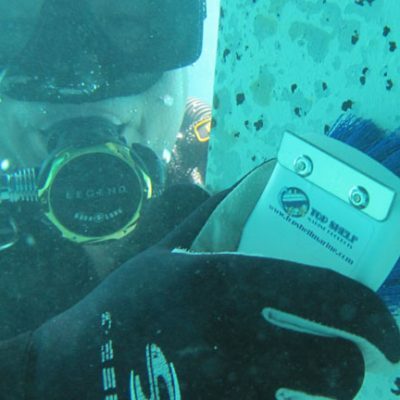 The nylon bristles are great for soft growth and the 301 series hardened Stainless Steel blade makes quick work of the occasional barnacle or hard growth you may find. 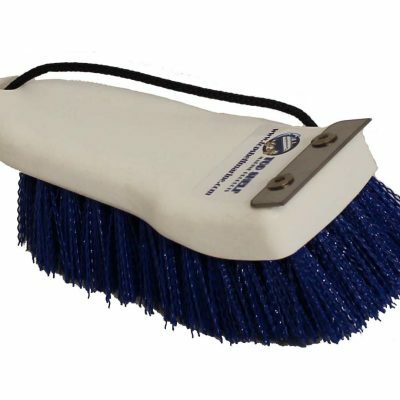 The base brush is certified Food Grade with all Stainless bundling and overall very high quality. The entire brush is proudly Made in the U.S.A. 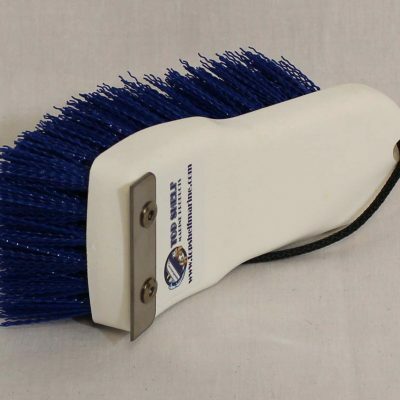 The brush floats and comes with a wrist lanyard so you won’t lose it.